I've been raising heck via email recently over what happened at the Hong Kong Junior and Cadet Open. And perhaps I actually accomplished something, though too late for this time. Here's what happened. There are limited number of entries for each country, and so each country has to work out rules for who can represent them. A number of USA juniors had paid their own way, and wanted to play singles. (All were able to play doubles and teams, but there weren't enough openings for singles.) According to the rules set by the USATT High Performance Committee (HPC), first and then second priority goes to those who made the National Junior Team (top four), and then the National B Team (next four). That's good so far. But after that, next priority went to players who were from "USATT Hot Spots," which really means ITTF Hot Spots in the U.S. There are four in the U.S., but MDTTC (my club) is not one. The application process goes through USATT, and we started this process in September, 2013. Unfortunately it turns out ITTF is no longer approving new Hot Spots while it rethinks the concept, and so we are not an ITTF Hot Spot, though we obviously qualify, and are one of USATT's eight National Centers of Excellence. What does all this mean? A member of our club, Nathan Hsu, a U.S.-born citizen rated 2416, is training in China right now, and wanted to play Under 18 Singles at the Hong Kong Open. He's been playing very well recently, even knocking off a 2648 player at the U.S. Open, his best win ever. But he had not made one of the USA Teams at the Trials in December, and so because of the rules set up by USATT, priority went to members of Hot Spots. Result? Because he played at the "wrong club," Nathan wasn't allowed to play singles. Instead, two players rated 1792 (age 14) and 1864 (age 17), who played at the "right club," were entered and represented USA in singles at the Hong Kong Junior and Cadet Open (along with others who were on USA Teams). Think about that. There were two spots open, and we had players rated 2416, 1864, and 1792. None were on the USA Team. One had a world ranking (Nathan, #298 in Under 18). But the choice was made not by the player's ranking or level, but by which club he played at! And so the two players with ratings around 1800 represented USA in singles, while the 2400+ player sat on the sidelines and watched. He was punished for not playing at the "right club." Can you imagine trying to explain that to Nathan? Or in a court of law? Or to the U.S. Olympic Committee? This is not about the two players who played, their club, or their coach; it's about very bad rules set up by USATT that led to a very unfair outcome. In fairness to the HPC, the chair, Carl Danner, who I greatly respect, explained that they never anticipated this result, and that the surge of interest among parents to send their kids to these international events was unprecedented. He said that part of the intent of the rule was to recognize the most advanced training centers, and a freeze on the Hot Spot designations was unexpected. He said that in light of this experience, he will recommend changing the rule. I accept that the HPC never expected this outcome, but I sure wish I'd been in the room or saw a draft of this when they were creating the rules to point out the unfairness. Creating rules have consequences. Choosing players to play in international events based on what club they play at isn't fair, and it turns them into pawns, to be given out to favored clubs like chattel - something that they somehow never foresaw. It's too late for Nathan - this was his last chance to compete in junior events. However, he'll continue to train hard for future events. Here's the video (1:50) created by Evan Sery created by last week. Much of it features Coach Jack Huang, but most of the taping is from a junior session I'm running - you can hear me coaching and yelling out things in the background. Yesterday we had a small turnout in our MDTTC camp, and so I wasn't needed. (Besides, the other coaches need the money more - outside my coaching I have writing income.) So I decided to take most of the day off from everything, and took the subway to the National Zoo in Washington DC! I hadn't been there since I was a kid, probably over 40 years ago. I enjoyed both the animals and the fresh air. Here are the most memorable moments there. I had pizza for lunch. Pigeons and smaller birds were all over, and so I decided to feed them. A large crowd of them gathered! We're not supposed to feed the zoo animals, but I think this was okay. I think. At least I wasn't dragged away in chains, though there were a few moments I thought the birds were getting a bit too close. Three times I stared eye-to-eye with wild animals. At the Great Apes building an orangutan and I watched each other for several minutes. 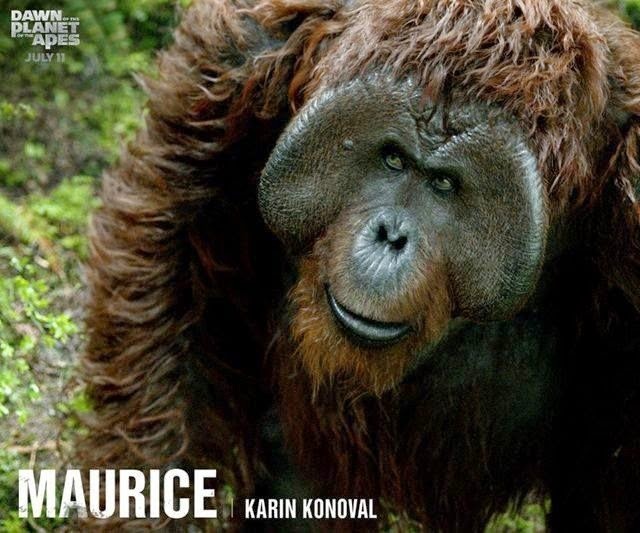 It had these tiny, soulful eyes, just as the orangutan from the recent Planet of the Apes movies. (Later I'd see an exhibit showing brain sizes of various great apes, and seeing how small its brain was compared to a human's, I wondered how much thinking was really going on. But it sure seemed like there was a thinking, aware being in those eyes.) As I left the building, a gorilla stood next to the glass at the front of its cage, and we looked at each other for a moment. Later, at the Great Cats area, I watched the lions for perhaps ten minutes. The male lion, which was pretty large with a huge mane, seemed to pick me out of the crowd and stared at me. I waved at it, and it definitely began to watch me. After a few minutes, as I left, its eyes followed me the whole time. Perhaps it was hungry. My favorite animals: the orangutan, gorilla, and lion that I went eye-to-eye with; the giant tortoise that went on a "sprint" across its enclosure (okay, a craaaaawl); the sea lions; the giant anaconda; the lemurs (so like our ancestors! 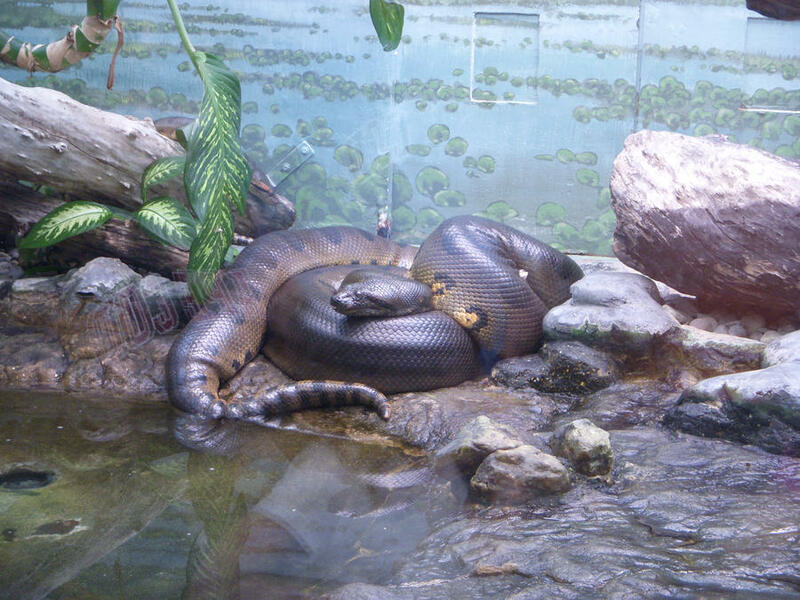 ); the two elephants; the prairie dogs; the komodo dragon; a giant stingray; and a gigantic arapaima fish. My only disappointment was that the Invertebrates House had closed down, so no octopuses. I saw the pandas, but they were just sleeping. To my non-expert eyes, I thought the elephants, lions, and tigers needed larger enclosures. They looked pretty bored, with the elephants pacing back and forth while the lions and tigers just lay about, as they do in the wild something like 20 hours/day. My legs are once again extremely tired from walking around for four hours. USA's Lily Zhang made it all the way to the semifinals of junior girls before losing this morning (i.e. afternoon in Nanjing, China, where they are playing) to top-seeded Doo Hoi Kem of Hong Kong, 1,-5,8,9,6. It was quite a turnaround for her to come back and win game two 11-5 after losing the first 11-1! She will be playing for the bronze tomorrow. Here is the ITTF home page for the event, with articles, results, video, and pictures. (Krish Avvari is the other USA player competing.) Here's a blog entry about Lily by Matt Hetherington. A big Congrats to Lily!!! Here are the last two articles by Barbara Wei on the LA Open this past weekend. I linked to the previous seven in yesterday's blog, as well as the results and the LA Open home page. Here are three new ones, including two coaching articles. Here's the video (4:38). (Note for beginners - backspin and underspin are the same thing.) It's in Chinese, but has some English subtitles, and you can learn just by watching. "I've got a theory that if you give 100% all of the time, somehow things will work out in the end." -Larry Bird. Here's the video (3:11). "Do you know someone who dislikes Table Tennis? Let's show this video!" Here's a nice meme on this. Is Timo Boll an Unlucky Player? Here's the article and video (5:33). 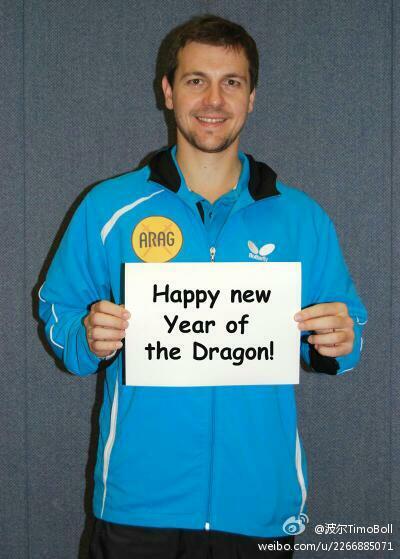 "Why hasn't Timo Boll been able to win major titles? Is he an unlucky player?" Former USATT President Sheri Pittman Cioroslan is doing an article every day during the last 100 days of Adham Sharara's ITTF presidency, counting downwards from 100. Previous ones are linked from the USATT News page, as well as in my past blogs. Eighty-eight down, 12 to go! Here it is. He was a long-time player and organizer. He will be missed. Here's the video (6:21) where the Harry Potter star "…plays ping–pong with us and answers 73 questions on everything from his desire to star in Guys and Dolls to what he would bring on a one-way trip to Mars. What’s something he knows about Harry Potter that no one else does? Watch and find out." This is hilarious! Daniel seems to be playing a lot of ping-pong recently - on Aug. 7 I linked to an article and video (1:46) where he also played. Is your paddle charged? Here's the latest table tennis artwork by Michael Mezyan. Here's the video (3:06) from the 2013 LA Open (last year). Here's the article and picture. It's a collapsible ball made of a flexible material that's created with a 3-D printer! I can't wait to try this out. It's spread to the table tennis world, including my club. Here are some. Many players go the other extreme, serving too short. I was watching one of our top juniors play a match recently and noticed that his opponent was taking the serve right off the bounce, and either returning it at wide angles or dropping it short. The junior couldn't get any good attacks off his serve. I watched closely, and realized that his serves were too short. The second bounce, given the chance, would have been well over the table. Because they were so short, the opponent was able to both rush him and angle him with quick pushes and flips, as well as drop the ball short with ease. By serving a little bit longer, the opponent would have to contact the ball later, and would be less effective at rushing and angling the server, or at dropping it short. Last night I wrote a rather long segment about the USATT's new rating platform, pointing out more problems with it and again urging USATT to go back to the old platform until the new one is functional. It was not going to be a complimentary blog. I was also involved in a number of late night emailing/messaging sessions about this – a lot of people were urging the same. Result? This morning the old ratings platform is back. So I'll put my previous words in another file and hopefully forget about them. (Fortunately I also wrote out the blog item above on Short Serves and Half-Long Serves, and planned to run that first anyway. Normally I do all the blogging in the morning.) Thank you USATT for fixing the problem. So now we can relax and give RailStation and USATT time to perfect their new platform, and if their smart, turn it into something that'll be an actual improvement. One small mistake - the first line of the explanation says, "This site is being replaced by the one at http://www.teamusa.org/USA-Table-Tennis/Ratings." But this links right back to the ratings page it's on rather than the new ratings platform from RailStation. I've emailed the USATT Webmaster about this and it'll likely be fixed. Here's an interesting article that explains and graphically shows (with animation) how Long Pips work. Here's a training graph that applies both to table tennis and all other sports. Follow it closely. Former USATT President Sheri Pittman Cioroslan is doing an article every day during the last 100 days of Adham Sharara's ITTF presidency. Previous ones are linked from the USATT News page, as well as in my past blogs. Fourteen down, 86 to go! Here's video (44 sec) of a great point between Ma Long and Timo Boll. Timo's on the near side defending most of the point before the tables get turned. The 1949 and 1951 World Men's Singles Champion and one of the greatest choppers in history has died at age 91. Here's the article. Here's the pictures and other ones from the China Open. Here's the picture. As you can see he's returning a short ball to his forehand. To do so he's loosened his grip and tilted the racket backwards with the obvious intent of flipping down the line to the opposing baby's backhand. He's also stepped in over the table with his right leg to get maximum reach toward the ball. Both eyes are focused intently on the ball, something we should all emulate. His left ear is thrust out and extended, allowing him to pick up on the sounds of the ball, which give him clues as to the ball's spin and speed, and, along with his right ear (not visible), allows him to triangulate the position of the ball acoustically. Since he's a relative beginner, he has extremely thin sponge on his racket, allowing maximum control. He has a wide stance allowing quick side-to-side scooting. His left arm rests comfortably on his leg, keeping it rested so it'll be ready for a rapid and powerful rotation as he pulls with his left side on follow-up forehand loops. He's using a legal ITTF certified mouth gear, allowing proper protection of teeth when he clenches his teeth in tense moments of a rally and when he's teething. The long-sleeved shirt keep his playing arm warm during long training sessions in cold weather. All in all, I'd say very nice form and kudos to his coach. Coincidental to this week's Tip of the Week, I watched two top players play this past weekend at the MDTTC Open. (See segment below.) I was coaching on a back table for much of the tournament, though I did get to coach a few matches of students of mine. One match in particular caught my eye, between what should have been two evenly matched top players whose names I won't mention. One of the players is basically a blocker, though he can attack as well with a very orthodox game. The other was a vicious two-winged attacker who rarely backs off the table. (That describes a lot of top players.) What stuck out was how the two-winged attacker kept attacking at wide angles, and the blocker kept blocking back at wide angles. This put the attacker out of position while the blocker controlled the points. Result? The blocker won three straight. There's a simple dynamic here that many don't understand. While loopers dominate against blockers at the higher levels, in a battle between a looper and blocker where the two go just corner to corner, the blocker is completely at home. He has little time to react to the looper's shots, but if the shots keep coming to just his forehand or backhand, he can react to those with quick blocks. But if the looper goes to the middle as well, that's too much, and the blocker just can't react. When he does, he has to move out of position or contort his body for the shot, and his blocks are weaker and the corners open up. Suddenly, instead of the blocker moving the looper around like a marionette, it's the other way around, except the blocker is more like a Raggedy Ann as he struggles to react to these loops to his middle and wide angles that jump like grasshoppers as they hit the table. Since I've coached the looper before, I wanted to go out and tell him to attack the middle, but I was in my own coaching session, and could only watch some of the points as he played to the blocker's strength over and over. I'll be talking to him at some point about this. This morning I have the Tip of the Week and this blog to write. Then I try to finalize the new MDTTC April Newsletter. Then I leave to coach at the club for two hours, 12:30-2:30PM. Then I leave to pick up two kids from schools for our afterschool program. Then I do a session with one of them, plus help with homework. Then I teach my beginning/intermediate class from 6:30-8:00PM. Along the way I need to respond to a zillion emails. Meanwhile, I'm working with someone on a French translation of my Table Tennis Tactics for Thinkers book, and working on setting up my new tabletennisbooks.com page, where I'll sell TT books and videos. Somewhere in there I'll breathe. Here are complete results of the MDTTC Open held this past weekend at my club, care of Omnipong. New MDTTC coach/practice partner Chen Ruichao ("Alex") dominated the Open, defeating fellow MDTTC coach/practice partner Chen Bo Wen ("Bowen") in the final, 8,12,-8,9,3, visiting New Jersey junior star Allen Wang in the semifinals, 6,8,6,5, and Maryland junior star Roy Ke in the quarterfinals after a first-game scare, -11,7,5,3. There are still raging debates on what Alex's actual level is since it seems to go and down, but it's somewhere in the 2600-2700 range, depending on how "on" his vicious third-ball attack is, which might be the best in the U.S. when it is on. Who's Been #1 Since 2001? Here's the listing of the eight men and six women who have held the #1 ranking since 2001. Wang Liqin runs away with it for the men with streaks of 24 months, 6 months, 21 months, and 1 month, for a total of 52 months, while Zhang Yining is even more dominant on the women' side with 70, with streaks of 3, 9, and 58. Here's a new video (1:51) of a junior program run in Pennsylvania by Rich Burnside, John Wetzler, and Pastor Eric. We've had videos of players playing robots. Here's a new one of robot vs. robot (3:06). Expedite!!! Three Types of Receive Skills. It was a pretty grueling weekend, with lots of driving and coaching. Here's a short synopsis of the Cary Cup, from the perspective of someone who was too busy coaching to see any of the big matches. (I was there primarily to coach Derek Nie.) Here are the results. And here is the final write-up (which features Kewei Li and his upset of Eugene Wang in the final), which didn't come out in time for yesterday's blog (though I just added it). WEDNESDAY: USATT Hall of Famer Tim Boggan drove down from New York, arriving that morning. We had a nice pizza lunch. Then he spent the day reading and puttering about my townhouse as I coached at MDTTC much of the afternoon and night. THURSDAY: We left very early that morning for the five-hour drive to Cary, NC. Other than a wrong turn that somehow had us going north on I-95 for ten minutes, all went well. Anyone who accuses Tim of intentionally driving with me in the front passenger seat hanging out over in the next lane, well, it's a figment of your imagination. I hope. But he likes to drive and I don't, so I let him do the driving while I navigated, even if my life did flash before my eyes a few times. From 4-5PM I ran a Beginner's Clinic at the playing site with about 20 players. Mike Babuin, the tournament director and chair of the USATT Board of Directors, assisted. We covered the basics - grip and stance, forehand, backhand, and serve. The players ranged from about 6 to 60. Then Tim and I went to an Italian restaurant where I had a giant salad and he had some sort of fish. FRIDAY: I was entered in the Hardbat Open, which started at 10AM. (It was the only event I entered, though I normally use sponge.) We used the old 38mm balls, with matches two out of three to 21, with two groups of eight, top two advancing. I play an all-out forehand attack with hardbat (with some backhand chopping), but at 54 and with various knee, back, and arm problems, I don't move as fast or play as well as I used to. In my group of eight players I went 5-2. Against Xin Peng, a former top Chinese player (2600+ at his peak, and seeded second here), a pips-out penholder, I won the first 23-21, and led the second 7-2. Then it was 10-all, and then 15-all, my serve. I lost four straight points and yelled out, "What just happened?" I ended up losing the last six points in a row, and fell way behind early in the third. Against A.J. Carney, who has a 2372 hardbat rating and was seeded third, I also battled, but lost the first 21-17. I led much of the second, but he caught up, and led 19-20 match point. We had a nice point where I smashed three balls in a row as he countered from off the table. Then he chopped one, a bit high, the type of ball I'd smashed a million times before and almost never missed. Yep, I missed it, smashed it right into the net. I'd been rushing A.J. by hitting many balls on the rise, and I think I may have hit the ball before it even reached net height, alas. So I didn't advance to the Final Four. Jim Butler won easily, with Xin Peng second, Bin Hai Chui third, and A.J. fourth (after losing a close 21-18 in the third match to Chui). I'd seen the draw for Saturday and saw who Derek Nie would be playing. So I surreptitiously strolled over and watched one of them, rated 2126, as he played a couple of matches. He had a somewhat unique serve, a good backhand block, and a pretty good forehand. I coached Joshua Tran in several of his matches that afternoon. (He's another MDTTC junior, rated about 2100.) At 6:30 PM Derek arrived. He's 13 and rated 2301, so I can barely keep up with him at the table these days. We practiced for fifteen minutes, and then Jim Butler came by looking for someone to hit with, so I turned him over to Derek, and the two practice for half an hour. It was quite a contrast, as Derek is about 4'8", while Jim's 6'4". After Jim left I hit with Derek for another half hour, mostly having him serve and attack against push, and then serving to him and catching the returns so he could work on receive. SATURDAY: Derek had eleven matches. First he had to play a round robin of four players to make it to the "A" Division. Two of the players were about 1550 and 1750, and he had no problem there. The other player was 2126. While Derek was almost 200 points higher, it was a rather important match since if he lost, he'd be in a division of players rated a lot lower, and Derek needed the experience of playing with players his level and higher. As noted above, I'd scouted out the 2126 player, and Derek easily won 3-0, playing very smart so the opponent couldn't get his game going. Derek did have a problem with the serve a few times early on, but quickly adjusted. Things didn't go as well after that. I'm not going to go over it match by match, but suffice to say Derek lost a few close ones. (Why am I not writing more? That's between Derek and I, and I don't want him to worry about my blogging about his matches.) He did have one nice win over a player who'll be adjusted to 2300+. From the tournament I jotted down three things Derek needs to really work on. We then left for the five-hour drive home, where we spent much of the time on brain teasers I read to him. He's gotten pretty good at them. SUNDAY: I arrived home about midnight, so technically it was about Sunday. I unpacked, checked email, and basically puttered about half the night, unable to sleep. I went to bed with a headache, and woke up with one, as noted in my short blog yesterday. Here's the current North American Tour listing, with 21 tournaments now a part of it. Here's the final roster and pictures. The top four men and women made the team at the recent USA Trials. The "coaches picks" were Kanak Jha and Angela Guan. The World Championships are in Tokyo, April 28 - May 5. Here's the video (5:14). He's both the 1971 World Men's Singles Champion and one of the most respected coaches in the world - and he lives in San Diego. Here's an article about USATT Hall of Famer John Tannehill doing an exhibition in Syracuse, Ohio, with his son Soren. Here's the video (2:40) of Jimmy Fallon and others playing this new sport, where two players share a single over-sized sweater and try to play table tennis. Here's a great posting by 3x USA Men's Champion Jim Butler on the importance of competition. I concur 200%. USATT is always stressing the importance of developing our elite athletes, and yet misses the boat here. Sending our elite juniors overseas for a tournament or two is nice, but that's not how you improve through competition; the improvement comes from constant competition. It just so happens that that's what the Europeans did for years with their leagues to keep up with the better-trained and far more numerous Chinese. It was when the Chinese adopted the concept and added it to their normal training that they became nearly unbeatable. While we're talking specifically about up-and-coming junior players and how constant competition (along with training) will turn them into truly elite players, it really applies to everyone. If you want to improve, find the right balance of training and competition. Developing the fundamentals is top priority, but once that's done, you need both training and constant competition. Jim wrote, "Training really hard is a given. Without the ability to play competition on a weekly to bi-weekly basis we will never develop great athletes in this country beyond the current standard we see now. Our young talent will not develop to their maximum potential until this country develops an infrastructure that gets everyone playing against each other and against the Chinese talent throughout this country in regular competitions." I see the same thing. I see far too many up-and-coming juniors - including from my own club - who train and Train and TRAIN, and don't understand that's just the "given" part. Many partially make up for this with weekly matches with the other top players from their club, but they are playing the same players each week, with little at stake, and so it isn't quite the same. They need at least two tournaments every month, or a larger-scale league where they play more varied players. Jim also wrote, "When I played this 3 tournament team trials over the 3 day weekend, I was clearly better by the last day. I left feeling battle hardened, tougher, and sharper. That has the same effect on the young players also." This is a common thing. Often our top juniors reach their best right as the tournament ends - and then there's no more competition to take advantage of it. Tournaments develop and bring out the best in our players, but it has to be a regular thing, just as training has to be a regular thing. Ironically, just yesterday I wrote of Jim, "But now Jim, pushed to play well, often is forced to raise his level of play - and so while we don't often see the 2700+ Jim Butler of the 90s, we often see flashes of it, especially after he's played a bunch of matches where he's getting pushed hard." That's exactly what happened to Jim this past weekend, and exactly what happens to our up-and-coming players whey they are pushed hard in tournaments or other competitions. And guess what? When they are pushed hard, over and over, week after week, they often discover they can play at levels far beyond what they would have if they only trained. Jim also comments on the strength of our young talent in the country now, and we both agree that it's incredibly strong. I've blogged about it a number of times; with full-time training centers popping up all over the country over the last seven years, the level of our junior and cadet players has skyrocketed, and is stronger than it has ever been. It used to be we'd have maybe one or two really good junior players in each age group. Now we have dozens of them, and with those dozens there are a few who break out and go beyond where anyone has gone before, such as Kanak Jha and Crystal Wang, with others hot on their heels. Who knows which other ones will break out of the field and challenge to be the best? But before we didn't even have a "field" of up-and-coming talent so much as a few isolated good ones. But for them to reach their potential and keep on pace with their overseas counterparts - both European and Asian - they'll need both the given training and the constant competition. To quote Jim one more time: "This country is going to blow up with success once a tournament infrastructure is built. Our young talent would thrive and play beyond their teenage years. The players would become great in time, and the sport will take off. … It would be an incredible loss to watch this young talent die out after their teenage years because no competitive infrastructure has been built yet in the USA." Here's the video (3:52) of the much hyped man vs. robot table tennis match - but judging from the comments, it's a disappointment. It was obviously staged, and wasn't a real match. (If it had, Timo would have killed the robot with ease.) Most believe that much of the play was cgi, though I'm not sure of that. They even had a landing pit for Timo to dive into when he dove for the ball. After watching the video, read the comments and see if you agree. Here's an article on the event, which found it disappointing. My view? I was a bit disappointed that the video really didn't show us the robot's actual capabilities. It made it appear to be blocking Timo's best loops, but since we only saw snippets of rallies, it's not clear if it was actually doing so, if it was only doing so occasionally, or if it was cgi. Here's the article on his views after testing it. (Liu, a former Chinese star, is now coach of the second men's team.) One problem - they don't say which of the new balls was tested. By most accounts, they play differently. The one that seems to play best is the Xu Shaofa seamless one, but since he says the ball is more fragile, I'm pretty sure it's not that one, which (due to the seamlessness) is far less fragile than a celluloid ball. Here's the video (2:02) by Ohio top player and coach Samson Dubina - Improving Your Table Tennis Footwork with Better Anticipation. Here's 29 sec of three-time World Men's Singles Champion Wang Liqin doing multiball. Here's the video (60 sec, including slow motion replays). It's a great shot, certainly, but I wonder how many saw something more subtle and more important to your table tennis game? Watch the receive at the start. See how the player reaches in as if he's going to push to the left, and at the last second pushes to the right. That's how advanced receivers push. However, while he made an excellent last-second change of direction, he made another subtle mistake - the push isn't wide enough, and so the server was able to recover and make a strong loop. If the receive had been to the corner or just outside it, it would have been a great receive. If you do these last-second changes of direction, and place the ball well (usually to wide corners when pushing deep), then you are more likely to mess up the server. And that is your goal. Here's the article. On March 23, Peter and Dan Ives (father and son) will attempt to break the record for world's longest table tennis rally, currently held by Max Fergus and Luke Logan at 8 hours, 30 minutes, and 6 seconds. The Ives are doing so to raise money for Prostrate Cancer UK Charity. Here's a video (2o sec) of a zillion kids in China doing their morning ping-pong. Go to Google. In the search engine put in "table tennis memes pictures." (Or just use this shortcut I created.) And see all the great ones that come up! Ever notice how when a figure skater is spinning, if she brings her arms in she spins faster? Here's an explanation of that; it's the law of angular momentum conservation. Here's an article that explains this. The laws of angular momentum apply to both figure skating and table tennis. What this means is that you can rotate faster with your arms in. On the forward swing you have to extend the arm some to get power, especially if you use a Chinese-style straight arm forehand loop. But there's no need to extend the arm during the backswing, and it just slows you down. So in theory, table tennis players should bring their arms in during the backswing in fast rallies so the backswings are quicker. What does the videotapes tell us? Here's a video of Zhang Jike (1:55) and his forehand loop during fast multiball. Compare how far his racket is extended at contact to where it is during the backswing, and sure enough, he brings his arm in during the backswing. Here's a video of Ma Long (32 sec) showing his forehand in slow motion, which makes it even clearer. Again, compare the racket's position at contact with where it is during the backswing. But now we look at a video of Timo Boll (2:12), and see a discrepancy - he holds the racket out about as much during the backswing as the contact point. But there's a reason for this - Boll uses a European-style loop, with his arm more bent, and so never extends his racket that far from his body. Compare to Zhang Jike and Ma Long and see the difference. How about hitters? Here's a video (51:06, but you only need to watch the first 7 sec) that shows two-time world champion pips-out penholder Jiang Jialiang hitting forehands. Note how he drops the racket tip down for the backswing, then extends it sideways during the forward swing? This quickens the backswing. An extended version of this might become a Tip of the Week. Here's the article from Table Tennis Master. Somehow I missed this article when it came out a year ago. Here's another blog entry from Dell & Connie Sweeris, co-chairs for the 2014 U.S. Open in Grand Rapids: "My Favorite U.S. Open Experiences"
Here's the article and video (36.43) of the final against Ma Long. He started with a loss to Liang Jingkun, then followed that with ten consecutive wins, including wins over his main rivals on the team, Ma Long, Xu Xin, and Fan Zhendong. The Westchester Table Tennis Club, which runs monthly 4-star tournaments - something no club has ever done - has joined the North American Tour. There'll be a press release at some point on this and other aspects of the Tour, but for now here is the current list of tournaments in the Tour (which includes links for other info on the Tour). Others will be listed as the paperwork is complete. Special thanks to Bruce Liu, who organizes the Tour. Once again we're at it, for the 14th year in a row. (Disclosure, I only helped a little on the first volume.) Yesterday morning USATT Historian Tim Boggan (now an experienced 83 years young) moved into my house so he could direct as I do layouts and photo work (with great help from photographer and USATT Hall of Famer Mal Anderson) on his History of U.S. Table Tennis, Volume 14. Yes, you read that right; we're into the 14th volume, which covers the years 1985-86. Here's TimBogganTableTennis.com, where you can learn about and order the books. As I noted in my last blog, I was away at my nephew's wedding and a family gathering in New Orleans Wed-Sun, returning around midnight on Sunday night. I had three hours of work that night that I had to take care of, and then I got a good four hours of sleep before starting work. Technically Tim didn't come in until 9:30 AM (driving down from New York), but I had a lot of stuff to do to prepare for him, from cleaning the house a bit to preparing the documents we'd be working on. On an exhaustion scale of 1 to 10, I'm at 17 right now. And we've only done one day. And my coaching gets busier as the week goes on. I actually had little coaching yesterday or today. Instead, I'm picking up kids at schools, taking them to the club, and watching over them as they do homework for our new Afterschool Program. Starting Wednesday my coaching picks up, with three hours that night. I don't even want to talk about the weekend! While in New Orleans I mostly was busy with family and wedding stuff. (It's been something like 20 years since I was last at a wedding, and eight years since I last wore a suit and tie.) I did get one afternoon off where I spent four hours at the World War II Museum. I also put together (with help from other family members) a 550-piece The Hobbit jigsaw puzzle. The USA Grand Tour Finals were this past weekend. Here's where you can find results, photos, video, etc. On a side note, ten copies of my book Table Tennis Tales & Techniques were given out as raffle prizes! USATT Coaches, listen closely: ALL USATT certified coaches need to go online and complete the background check process now required by the USOC. Here's the USATT info page on this. Here's the article on Ariel Hsing (female), Kanak Jha (male), and Tahl Leibovitz (Paralympic). At the about.com table tennis forum there's a discussion of the Atlanta Tennis Leagues (tennis, not table tennis), and how they are ten times bigger than USATT. Jay wrote about this; here's my short response. And here's USATT National and ITTF Coach Donn Olsen's response to me. Here's the article in yesterday's The Cary News. Here's a new video (2:46) from PingSkills that teaches how to do multiball training. 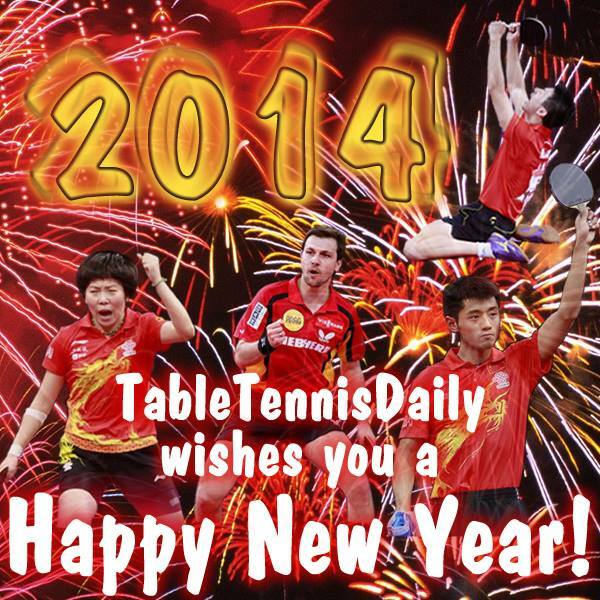 Here's the article from TableTennisMaster - and the two common errors. That's the headline and quote in this article that came out yesterday. However, what Jan-Ove Waldner really said in the article is, "Speedgluing should have been allowed to continue providing it was harmless." That's a very different statement than the headline. But the article does have some interesting stuff about Waldner's views on various rules topics. How Wealthy is World's Men's Singles Champion Zhang Jike? Here's an article on it! Here's the video (4:31)! Due to disabilities, he uses a somewhat unique grip, holding the racket very low so the handle is almost in his palm. And he's a shot-maker! Here's the video (23 sec) of the shot at the 2013 World Championships by Timo Boll, who just won the TMS International contest. Here's their videos of winners Zhang Jike (male, 23sec) and Li Xiaoxia (female, 24 sec). And here's video of the male nominees (1:09) and female nominees (1:09). Here's a video (2:38) from the BBC on the newest TT fad - triples! Or is this Death playing table tennis? You decide; it's the latest table tennis artwork from Mike Mezyan. The After Death fantasy horror anthology came out last year, with my story "The Devil's Backbone." Here's a review of the anthology that came out yesterday - and read what they wrote about my story! I had a pretty busy year. Here's a review of my 2013. I coached at nine MDTTC camps, six hours a day, totaling 44 days: March 25-29, June 17-21, 24-28, July 8-12, 15-19 (missed the last day), July 29-Aug. 2, Aug. 12-16, 19-23, Dec. 26-31 (missed the last day). I ran approximately 120 junior training sessions, most of them 90 minutes long. I also did about 800 hours of private coaching. I was also a practice partner at about 80 training sessions - it would have been more except for various injuries. I also ran three table tennis birthday parties. I had three more books come out, two on table tennis, one a humorous fantasy novel. 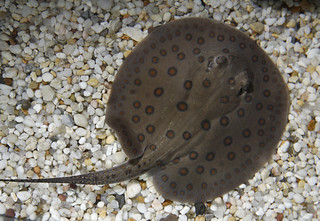 I also had 235 blog entries, exactly 50 Tips of the Week at TableTennisCoaching.com and PaddlePalace.com, 121 Tips of the Day at USATT.org, 10 articles in USATT Magazine, 1 article at Butterflyonline.com, 10 sold or published science fiction or fantasy stories, and 11 feature articles at OriolesHangout.com. I also created 12 MDTTC Newsletters and 1 Hall of Fame Program Booklet. Nov. 29 - Dec. 1, North American Teams in Washington D.C. Early in the year I gave regular coaching sessions to U.S. Olympic Figure Skating Coach Audrey Weisiger, who was training to beat the other coaches at an upcoming summer gathering. Here are some blog entries on her sessions: Jan. 17, Feb. 7, May 16, Apr. 26 (where I convert her to long pips on the backhand), and May 3. On May 13, JJ Hardy and Brady Anderson from the Baltimore Orioles visited MDTTC, and I gave both of them lessons. Here's my blog entry on it. I later coached pitcher Darren O'Day at MDTTC four times. On Aug. 21, I visited the Baltimore Orioles clubhouse with our top junior players, and stayed for three hours. Here's my blog entry on it. From Sept. 2-7, I attended the ITTF Level 2 Coaching Course at the Lily Yip TTC in NJ, and achieved ITTF Level 2 Coaching Certification, the highest level available right now in the U.S. I had the only perfect score on the test. Here's my blog entry on it, and here's the ITTF article on it. On Oct. 9, I spent the day on the set of the TV show Veep, which was doing an episode that features table tennis that should come out around March. Here's my blog entry on it. I was a panelist at two science fiction conventions: Balticon, May 24-26, in Baltimore, MD, and Capclave, Oct. 11-13 in Gaithersburg, MD. From July 19-27 I attended the Never-Ending Odyssey Writers Workshop in Manchester, NH, which is an annual program for graduates of the Odyssey Science Fiction & Fantasy Writers Workshop, which I attended in 2006. I was interviewed twice this year, but strangely both times it was by science fiction magazines rather than in table tennis. Here's my interview in Weird Tales Magazine, and here's my interview in New Myths Magazine. I saw over 50 movies at the theater - I generally see at least one every week. Want to read lots of articles on table tennis internationally? 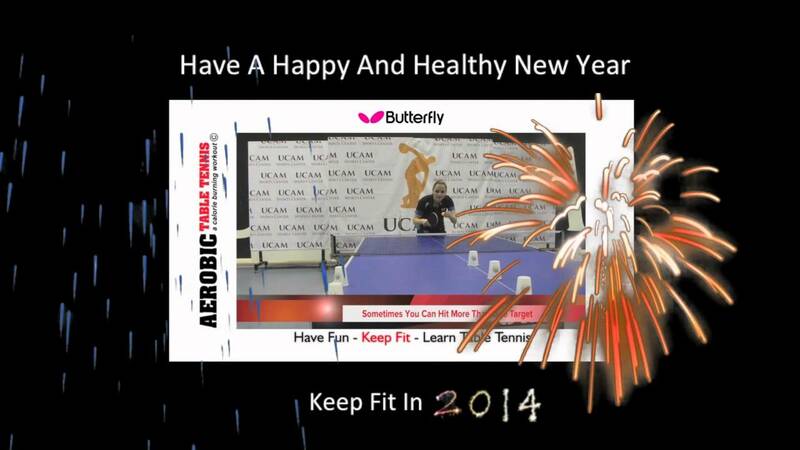 Then check out two places, TableTennista and the ITTF page. Here they are - L-R: Derek Nie, Darwin Ma, Amy Lu, and Crystal Wang. The four took a day off during our Christmas Camp. No broken legs. Here's the picture - imagine a club full of these! Mentality in a Match and in Practice. There's a great discussion of USATT issues going on right now at the about.com table tennis forum, with 83 postings as of this writing. It started with a posting about the two candidates put on the ballot by the USATT Nominating and Governing Committee (Ross Brown and Jim McQueen), and the ones they left off (Jim Butler, Rajul Sheth, Mauricio Vergara, and Ray Cavicchio. Many people, including myself, thought it tragic that some of these were left off when they are some of the ones actively doing things or pushing for new things. For example, Jim Butler's been pushing strongly for nationwide leagues or similar competitions, and is of course three-time U.S. Men's Singles Champion and an Olympian; Rajul runs the highly successful ICC club in Milpitas, California; and Mauricio runs the New York Table Tennis League. Unfortunately, USATT no longer allows the option for candidates to get on the ballot by petition - it used to be you could do so if you got 150 signatures from USATT members. It so happens I strongly disagree on nearly all the major issues with Ross Brown, and I'm not sure if Jim McQueen is pushing for new initiatives to develop our sport, so I'd like to see some of these new people and doers on the board with fresh ideas. Advertise to hire someone to set up Professional Leagues. Offer him 33% of revenues brought in, and the USATT's support with its web page, emails, magazine, and any other way feasible. It would be an historic position, similar to the first commissioner of sports such as baseball, basketball, and football. Redirect the purpose of the current "League" committee so that its primary purpose would be to actively increase the number and quality of leagues in the U.S. First job would be to bring in people to put together a manual for setting up such leagues. The authors would then publish on Amazon and get profits from sales. It's not large money, but they might get a few hundred dollars and the prestige of being a published author. Bring together the directors of the largest and most successful leagues in the U.S., figuratively lock them in a room, and don't let them out until they've put together a model for such leagues that can be done regionally all over the U.S. Create a "Training Center" committee whose primary purpose would be increase the number and quality of full-time clubs in the U.S. First job would be to bring in people to put together a manual for setting up and running such centers. The authors would then publish on Amazon and get profits from sales. It's not large money, but they might get a few hundred dollars and the prestige of being a published author. I already did a version of this with my Professional Table Tennis Coaches Handbook, and have sold over one hundred copies and made over $100. This manual covers half the stuff a manual on setting up and running a full-time center would cover. Change the focus of USATT coaching seminars from just teaching technique to the recruitment and training of professional coaches and directors of junior programs. I've argued this one for years. Advertise for someone to bring in sponsorships for U.S. Open and Nationals, where the person gets 33% or more in commission. Recruit State and Regional Directors all over the U.S. to set up regional associations, which would include election of officers, and appointment of Coaching, League, Tournament, and Club Directors for each state or region. (Some regions or states already have such associations.) USATT would supply the basic bylaws for these associations, using bylaws that have been created for this very purpose multiple times in the past, or modeled on current successful ones. Direct that the USATT Board of Directors main focus will be the development of the sport, and that "fairness" issues will go to the appropriate committee, freeing up board time for actually developing the sport. Here's a more general thing USATT should do: Set up specific goals for USATT, and make their fulfillment the primary goal of the USATT Board. For example, in 2006 there were only 10 full-time centers in the U.S., and it was proposed (yeah, by me in a presentation that was, alas, ignored) that we make a goal to create 100. Board members rejected this, arguing there weren't enough players for these training centers. There are now over 60 of them, with little USATT support. So what type of goals could we set up now? How about making it a goal to have, within five years, 200 full-time training centers with junior programs; 20,000 USATT members; and a U.S. Open or Nationals with prize money over $500,000. Then set up programs (see above) to achieve these goals. The nice thing about setting such goals is even if you miss the specific number and end up with, say, 190 full-time training centers with junior programs, 18,000 USATT members, and U.S. Open or Nationals with prize money of $400,000, guess what? We have dramatically improved the sport. So many players rush when they play when they have lots of time to make their shots if they'd focus on proper movement. To quote 2001 U.S. Men's Singles Champion Eric Owens, "You have more time than you think." Or my updated version of this, "The only reason to rush is if you want a rushed shot." Here's the article, about my coaching Orioles players. This is actually my second article in Sports Illustrated; I had one in 1999 about the Chinese table tennis dynasty. Waldner: "Today's Table Tennis Lacks Shrewdness"
Here's the article! I'm not so sure of this; I think he's still recovering from the long break he took, plus losing to a teammate who is used to playing him is not the same as losing to ones who are not used to playing Timo, who often have trouble with his lefty inside-out loops. Here's a new highlights video (14:03) that came out yesterday in high definition. It starts as if it were doing coverage of the World Men's Cup semifinals between Xu Xin and Samsonov (showing a great point with commentary), then moves on to lots of great highlights stuff. Yesterday's focus was forehand looping. Because of my back injury (see yesterday's blog), I couldn't demonstrate, so I just gave the lecture and then fed multiball to Nathan Hsu, who demoed it against both backspin and topspin. For some reason for many years I've used the top players in the camp for demoes rather than the coaches themselves. We do have a lot of coaches/practice partners in our camps - Cheng Yinghua, Jack Huang, Wang Qing Liang ("Leon"), Chen Bo Wen ("Bowen"), Chen Jie ("James"), Raghu Nadmichettu, and myself. Teaching the loop to a beginner with just one ball is very difficult, and is one of the reasons why conventionally it isn't taught until the player has played for many months and has solid forehand and backhand strokes. While the emphasis early on still should be solid forehand and backhand strokes in most cases, multiball allows players to learn to loop much earlier than before, since they can do it over and over, rapid-fire, rather than the old-fashioned one at a time. My theories on when a junior player should learn to loop are constantly evolving, but more and more I'm sort of letting the player decide - over and over they see others doing it and want to learn, and rather than have them try to learn it on their own and develop bad habits, I teach it to them when they feel they are ready. However, I still focus on developing sound forehand and backhand strokes, which later are essentially extended into loop strokes, as per Chinese theory. I also teach more topspin-oriented strokes than I used to, which makes it easier to learn to loop later on. I still remember when I was learning to play and the emphasis on forehand and backhand strokes was to hit the ball deep into the sponge and into the wood, with a loud wood sound. That's no longer the way it is usually taught anymore, where topspin is more important than that satisfying smack from hitting into the wood. Because of my back, Coach Raghu substituted for me in the one-hour coaching session I had scheduled during the 1-3PM break. I also had three more hours of private coaching scheduled today, in addition to the six hours of the camp. Because of the back, two of them cancelled, and will start up again after I return from the U.S. Open (hopefully with the back better). I'm going to do 30 min of the other one, with just backhands and multiball, and then Raghu will do the second 30 min. Since I'm free tonight from my coaching, I'm taking a group of kids to see the movie "White House Down," which opens tonight with a 7PM showing. So the kids are happy I hurt my back, right? Interesting non-table tennis tidbit: one kid was having trouble moving because his shoe kept coming halfway off. When I asked why he didn't tie it tighter, he showed me that the laces had become tightly knotted, and he couldn't untie them so he could retie them properly. Instant nostalgia! Not because I used to have tightly knotted shoelaces, but sort of the opposite. Back when I was about 12 years old (circa 1972, Nixon was president), I became a fan of Harry Houdini, the escape artist. One of the things he was famous for was his ability to tie and untie knots with his toes! This helped facilitate some of his escapes. I became determined to learn to do that, and I spent many weeks sitting on the side of my bed, with shoes and socks off, practicing this. I became very good at it, and would challenge friends and classmates at school to tie my shoelaces into knots as tight as they could, and then I'd untie them with my toes. (I'd use both feet for this.) Anyway, because of that background I consider myself an "expert" on untying knotted shoelaces, and it took me only seconds to untie this kid's tightly knotted shoelaces, though I did use my fingers for this. Now I'm tempted to take my shoes off and see if I can still tie and untie knots as I did over 40 years ago. Last week, in round two of the China Super League, Germany's Timo Boll defeated world #2 and reigning Men's World Champion Zhang Jike. This week, in round three, he defeated world #1 Xu Xin. Here's the article and video of the match (36:22). These are not huge upsets, as Boll is #5 in the world, but it's not often that non-Chinese have these wins against the top Chinese. Here's the video (1:59) which just went up yesterday. She's playing British TV host Jonathan Ross. The pink table they are using is too small, only about three feet wide instead of the legal five feet wide. Here's the picture. I want to play!